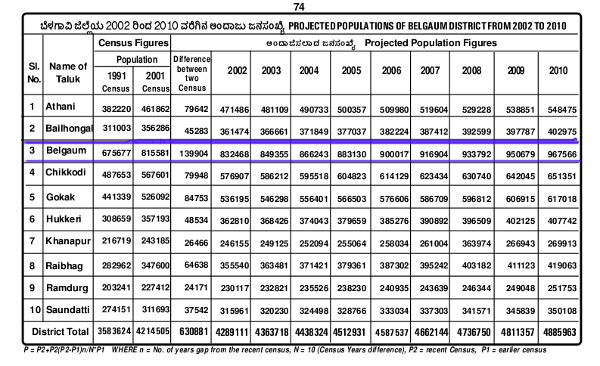 The projected population of Belgaum by the Zilla Parishad is 967566. The point here is the population mentioned is of Belgaum taluk as a whole and not of Belgaum city. Hence the population of Belgaum City will lesser than what is mentioned. hey district head quarters will also be considered as one of the taluks..